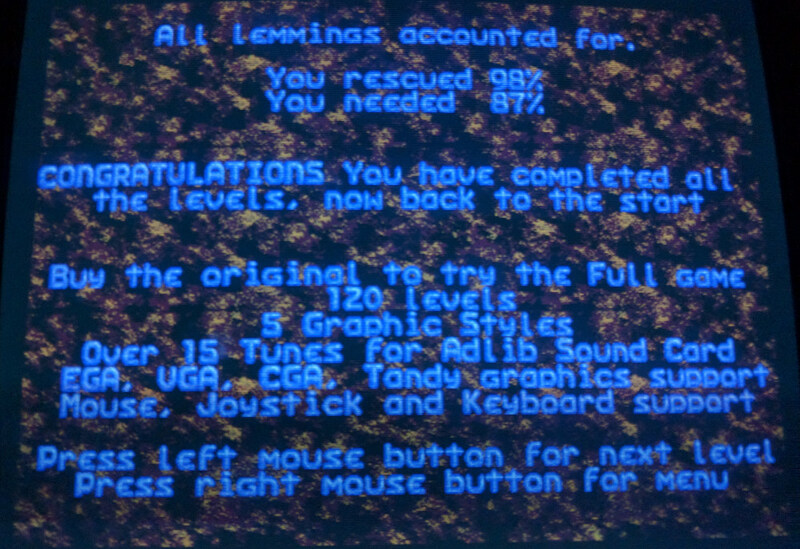 To go along with my recent playthrough of Lemmings, I’ve broken out the book scanner for the first time in some months and had a quick look at the Official Lemmings Companion. This was published by Prima back in 1993 quite some time after the game was first released. It’s one of the largest books I’ve scanned in clocking in around 350 pages but doesn’t offer a whole lot more than solutions to all the levels. The main point of interest for me was the disk tucked into the back cover with 16 bonus levels. 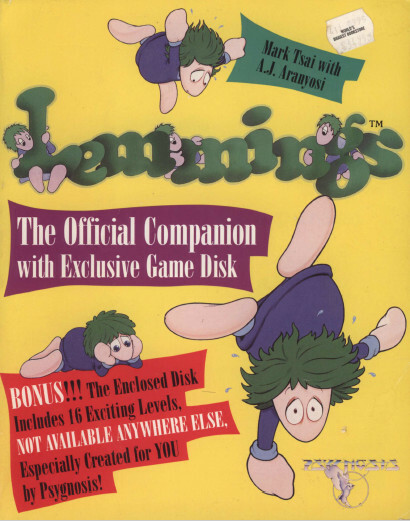 The disk was missing from my copy but included with my copy of Lemmings as a bonus disk. This despite the use of the phrases “exclusive game disk” and “not available anywhere else” in big letters on the guide’s cover. There are 4 new levels for each difficulty and it has to be said that they aren’t of the highest quality. You can expect to play through this lot in about 30 minutes if you’ve made it through the main game. The early levels are painfully simple. E.g.. the one above in which you merely have to dig down then mine across. They do get harder but nothing like as much as the original game. Perhaps the most memorable involved making it safely across the Prima logo but it was more for the novelty than it being a well designed puzzle. The final level requires making your way across the letters of congrats. It’s just a case of sending a lemming ahead to dig and build with masses of room for error. The book solution mentions there being a hidden exit above the entrance but it’s easy enough to do it properly. 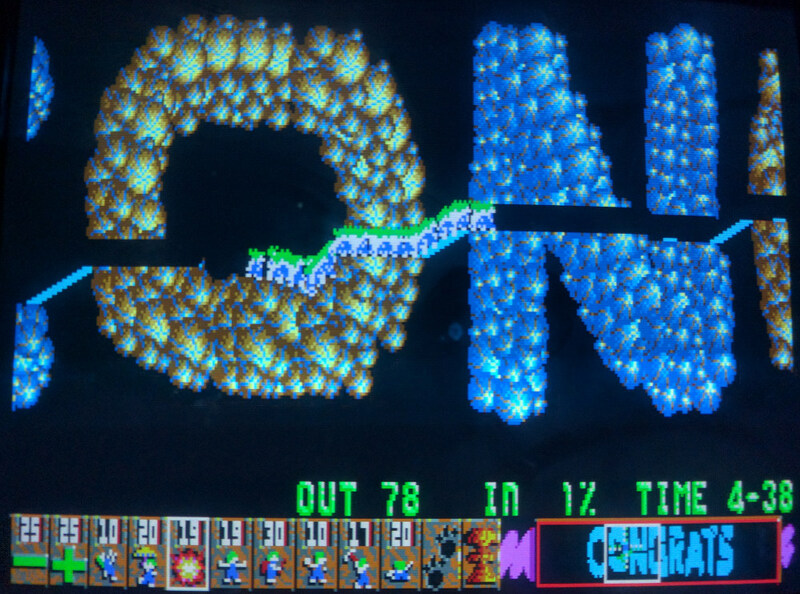 The levels do include additional graphics from Oh No More Lemmings with some curious new traps but I’m sure they were made better use of in the official expansion. The reward for beating them all is a bit of text advertising a game you would already have bought. The overall impression is that these levels were dashed off as quickly as possible to provide an extra for the book. 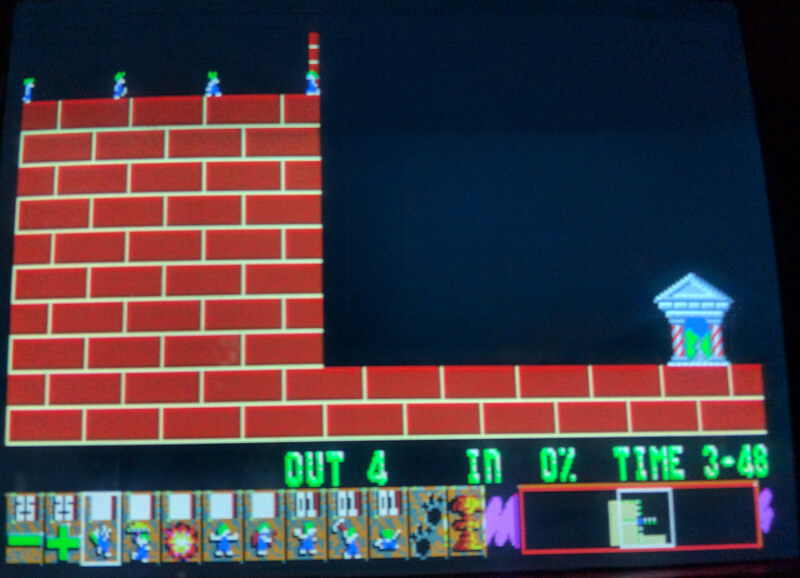 This entry was posted in Books, Off Topic and tagged guide book, Lemmings by Pix. Bookmark the permalink. I guess there’s only one guide left unscanned in your collection – for Escape from Monkey Island. Would be nice to see it here one day. Not sure if I did it or not but I’ve got a scan of that from some time back. I’ll get it uploaded in a bit.